← Register for the Hijabi For A Day event! The Last Clinic nominated for the National Magazine Award! 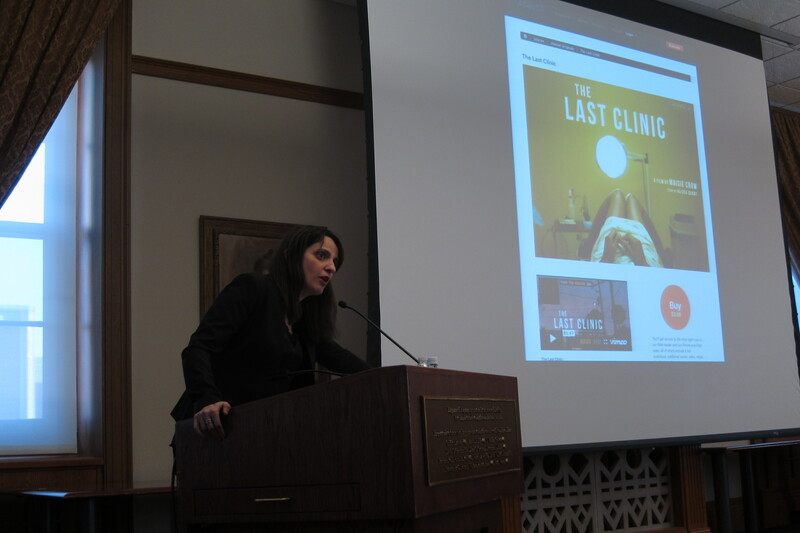 On March 19th we screened Maisie Crow’s The Last Clinic as a part of our Post/Feminism/Media Humanities Project, and it was just announced that the film is one of 5 final nominees for the 2014 National Magazine Awards. Congratulations to filmmaker Maisie Crow and journalist Alissa Quart for this wonderful news! To learn more about the National Magazine Awards and the other finalists, read the announcement of finalists here. We are so pleased to have had the opportunity to meet and speak with Maisie and Alissa, and to share The Last Clinic with the University community!